Remotely access your Raspberry Pi's and create network tunnels to services running on your Raspberry Pi, such as HTTP, VNC, SSH and access them over the internet. Run a one line setup command on your Raspberry Pi to install PiTunnel. Select the network services you want to access: SSH, VNC, HTTP, FTP etc. Access all your network services and tunnels on PiTunnel.com, from anywhere in the world! Remote terminal access to your Raspberry Pi. Securely login to pitunnel.com and access your devices through the web with a responsive SSH-like terminal. Live monitor your Raspberry Pi's remotely. See all the crucial information to ensure they are running correctly. Custom Tunnels let you access any TCP network service on your device, including your own projects and web servers. Make your Raspberry Pi projects available for you to access worldwide on the web. No need to configure port forwarding, routing or open ports on your router and firewall. No need to have a static IP address or use a dynamic DNS tool. 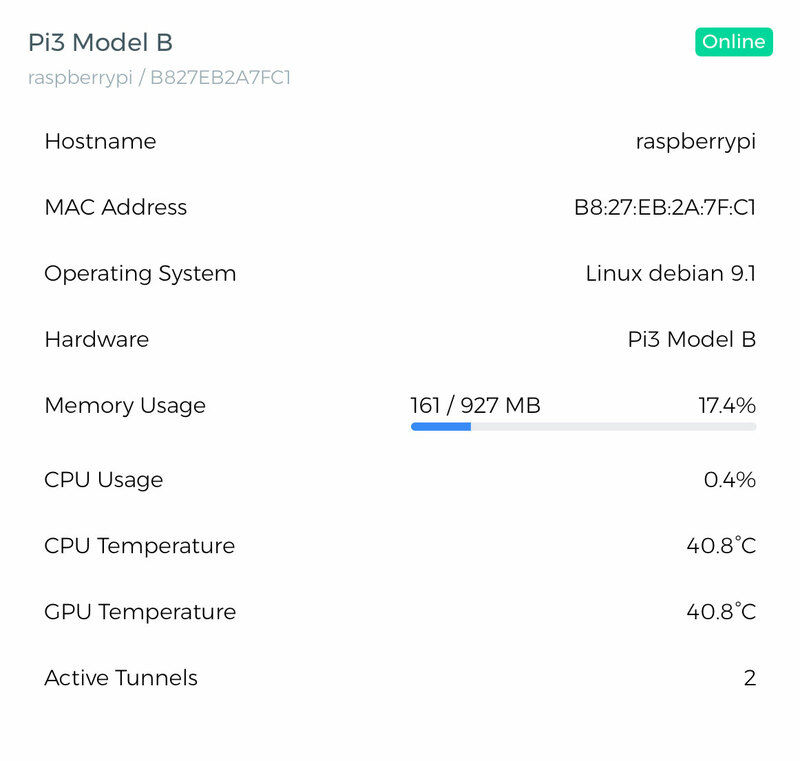 Your Raspberry Pi and its network services will always be available through PiTunnel.com. No need to setup complicated VPNs. 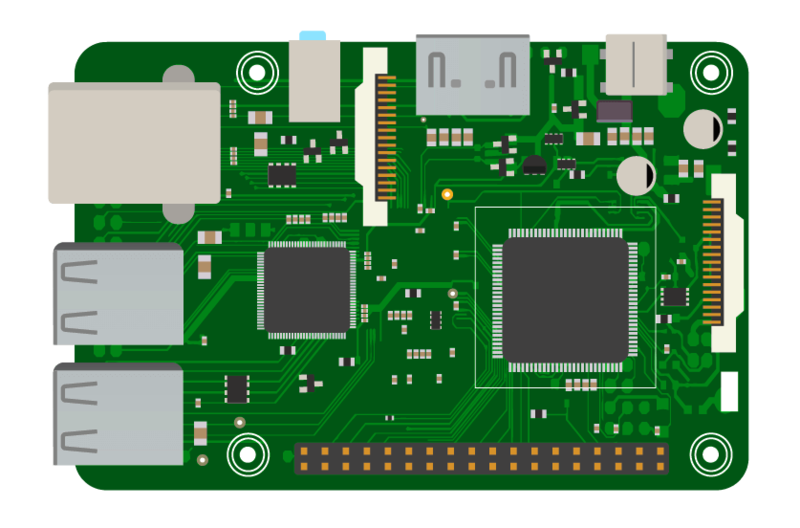 PiTunnel works as long as your Raspberry Pi is connected to the internet. PiTunnel can support 100s or 1000s of devices per account. Please Contact Us for Enterprise and Custom pricing options. Secure remote terminal access to your Raspberry Pi. Live monitor your Raspberry Pi's vital information. Remotely access any TCP server's running on your Raspberry Pi. Access HTTP tunnels on your own custom pitunnel subdomain. Share your tunnel URLs with friends and family to give them secure access to your projects. All tunnel traffic securely encypted using TLS. Website and terminal access secured with HTTPS.